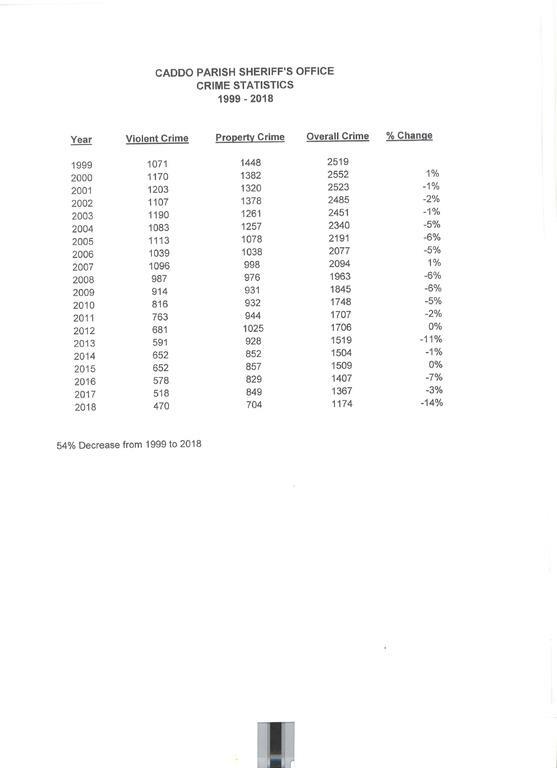 Crime in Caddo Parish dropped 14 percent in 2018 falling to its lowest level in at least 20 years, said Caddo Sheriff Steve Prator. 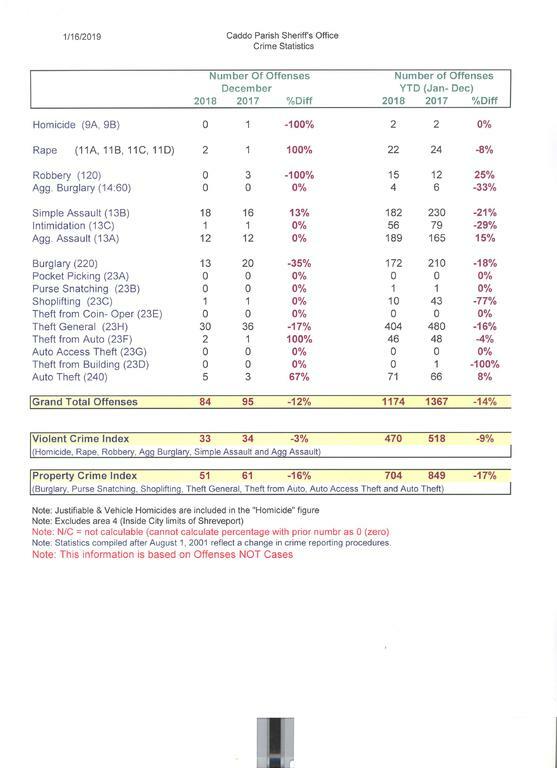 Overall, there were 1,174 crimes reported in 2018 compared to 2,519 in 1999, a drop of 54 percent over 20 years. There was a 14 percent decrease when comparing 2018 to 2017. 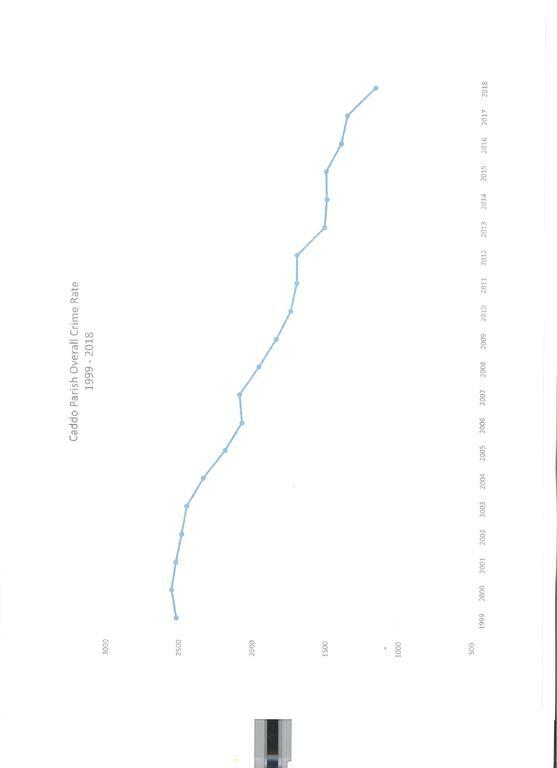 Annual year-to-year comparisons have shown decreases every year under Prator’s leadership with the exception of a less than one percent increase in 2007 and no percentage change in 2012 and 2015.